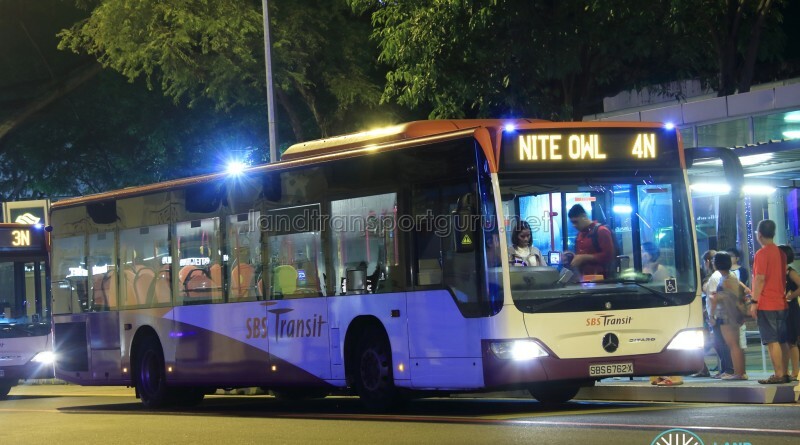 SBS Transit Nite Owl 4N is a unidirectional overnight route running from Marina Centre to Pasir Ris Drive 1, passing through City Hall, Clarke Quay, Zion Road, Orchard Road, Ophir Road, Marine Parade, Bedok, Simei and Pasir Ris. 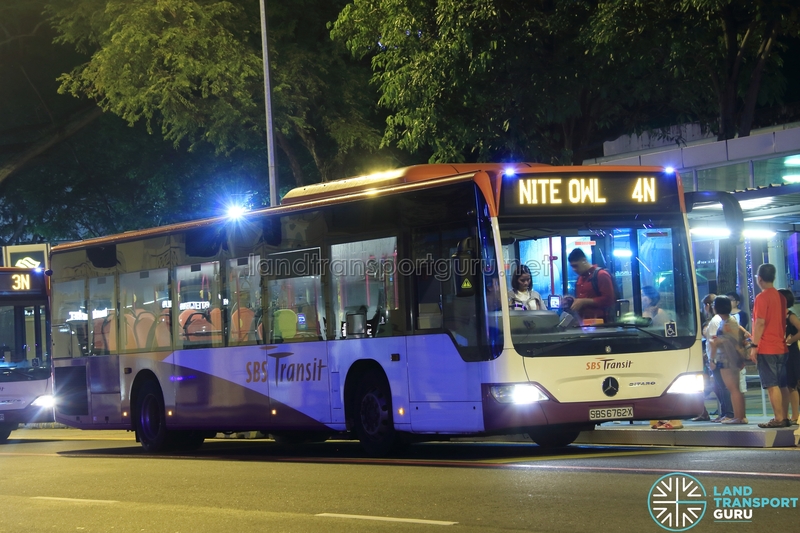 It is one of six Nite Owl routes operated by SBS Transit. Different fares apply within HDB towns and between HDB towns. No Boarding at Marina Centre Terminal. 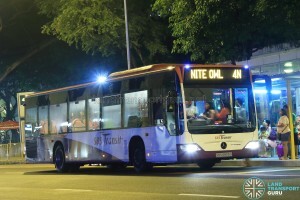 Nite Owl 4N connects the City areas of Marina Centre, City Hall, River Valley, Orchard and Rochor with the housing estates of Marine Parade, Bedok, Simei and Pasir Ris. 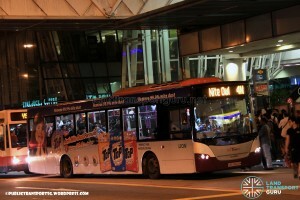 This service only operates on Fridays, Saturdays, eves of Public Holidays, with four trips on regular operating days. 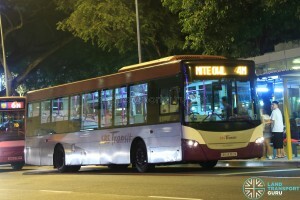 The route has an express sector from Ophir Road to Marine Parade Road via ECP. It also does not call at bus stops along Simei Avenue. During festive periods such as Christmas Eve or New Years’ Eve, operating hours are extended to 4am to cater for late-night dwellers. Bus concession passes are not applicable for Nite Owl services. This service charges flat fares; distance-based fares not applicable. 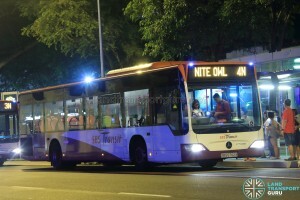 Nite Owl 4N uses single-decker buses from Bedok North Bus Depot. Nite Owl 4N at a glance. Click for larger image. The Bus Service Operating License (BSOL) for this route will be renewed in 2023 under the Bedok Bus Package. 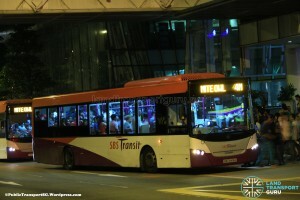 2008 (31 Aug): Extended from Bedok to Pasir Ris, covering lost sectors after the withdrawal of Nite Owl 7N. Enhanced to ply Bedok North Ave 1/4 instead of Bedok South Road/North Road/North Ave 3/Reservoir Road, then following 7N’s route to Pasir Ris Dr 1 (via current routing). Service now serves Simei and Pasir Ris instead of Marine Parade / Bedok alone.